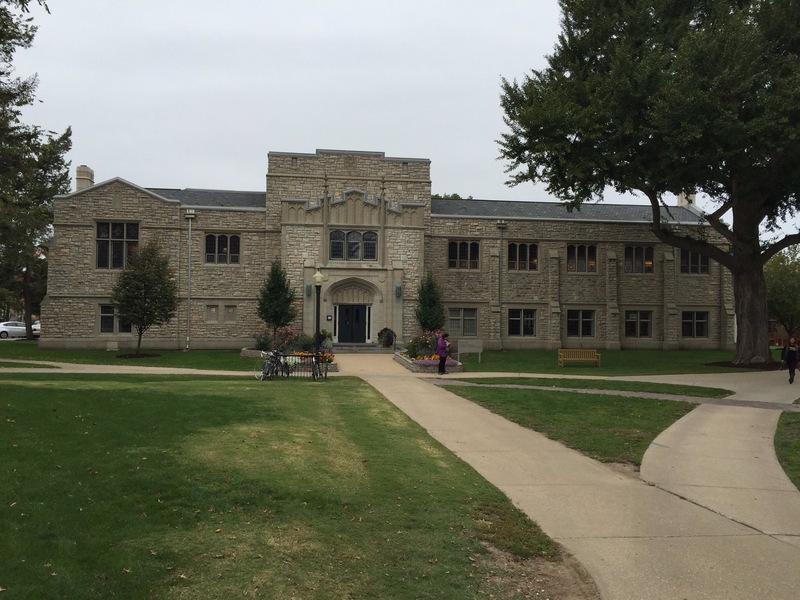 Recently, I revisited one of my favorite places in the world, Knox College’s Seymour Library. It’s one of the coziest places to read that you can imagine, with big overstuffed chairs next to a gigantic stone fireplace on one side, rows of beautiful wood tables on the other, all under gorgeous mullioned windows and Tiffany-style overhead chandeliers. Coming from a poor family and a mill village, bare-bones library to this was like being bestowed incredible riches. 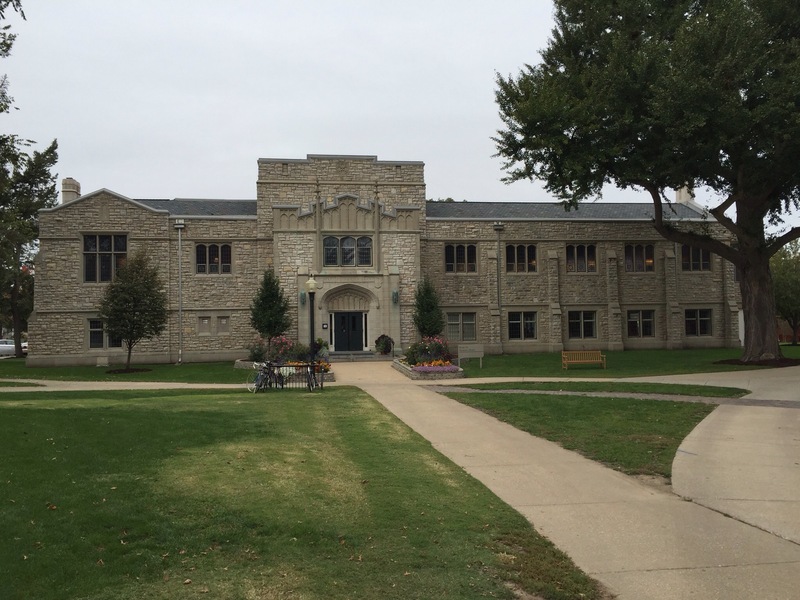 Come to think of it, I was bestowed riches by the experience; the librarians, working with my professors, taught me how to do research in depth, skills that lasted me into graduate school. 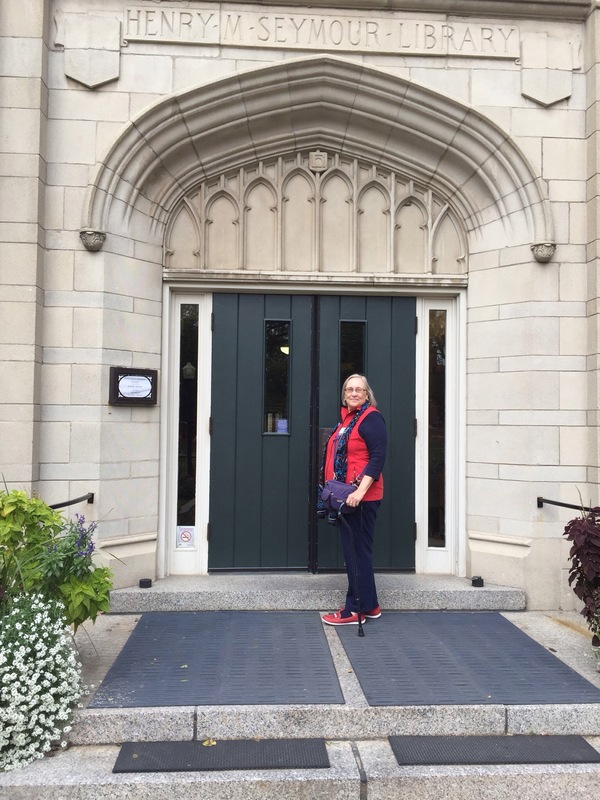 Eve’s Tour, Day Ten, October 11, 2014: Surprise!